Tanja Ariane Baumgartner made her debut at Covent Garden in the summer of 2013, singing Clairon in StraussCappriccio, which was followed by Judith in Bartok’s Bluebeard’s Castle at the Edinburgh Festival. She made her debut at the Deutsche Oper Berlin in May 2014, with Brangaene, and, during the 2014⁄15 season, will appear at the Hamburg State Opera and Konzertverein in Vienna for the first time. During the 2013⁄14 season at Oper Frankfurt, where she has been a member of the ensemble since 2009⁄10, she sang the Foreign Princess (Rusalka), Iocaste (Oedipe), the extremely demanding role of Tigrana (Puccini’s Edgar), Charlotte (Werther) and Gaea (Daphne). Frankfurt’s 2014⁄15 season began with the world premiere of Rolf Riehm’s* Sirens* in which she sang Circe, and ends with her singing the Witch in Humperdinck’s Königskinder. Other roles with which she has enjoyed great success in Frankfurt have included Cornelia (Giulio Cesare in Egitto), the Princess of Bouillon (Adriana Lecouvreur), Eboli (Don Carlo), Fricka (Rheingold and Walküre), Gora in the first performances in Germany of Reimann’s Medea (available on CD –OehmsClassics), Emilia (Otello), Fenena (Nabucco) and The Nurse (Die Frau ohne Schatten). Her bel canto technique and natural affinity for highly dramatic roles earned her enormous success and international acclaim for the title role in Othmar Schoeck’s Penthesilea at Theater Basel. This production, voted „Production of the Year 2008“ by Opernwelt magazine, was later seen at Oper Frankfurt where Tanja Ariane Baumgartner, once again, enjoyed a triumph. She made her Salzburg debut in 2010, singing Geschwitz in Lulu, returning in 2012 for Charlotte in Zimmermann’s Soldaten. Recent engagements have included two role debuts: Amneris in Aida and Carmen, both directed by Calixto Bieito at Theater Basel, Eugene Onegin at Opéra Marseille, The Nurse (Die Frau ohne Schatten) at De Vlaamse Opera, Santuzza (Cavalleria rusticana) at the Deutsche Oper am Rhein and AscheMOND, or the Fairy Queen at the Staatsoper in Berlin. 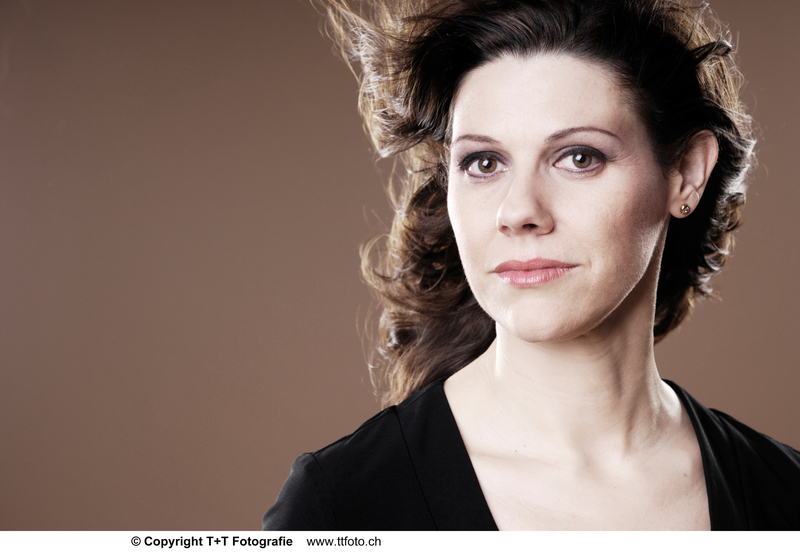 Tanja Baumgartner also enjoys a busy concert career: she recently sang Berlioz Les nuits d`été and in Verdi’s Requiem in Frankfurt’s Alte Oper. A recording of Mahler II with the Stuttgart Philharmonic is due for release soon. She was under contract to Lucerne Opera from 2002-08. She studied in Karlsruhe and then with Helena Lazarska at the Vienna Conservatoire, and has been working with Alexandrina Milcheva since 2002.